Even if you live under a rock, news must have reached you by now with regards to CBD and its wide range of therapeutic effects.  Cannabidiol, a natural compound derived from the cannabis plant, has grown increasingly popular over the past few years as an alternative health medication. This growth can be attributed to various reasons. Foremost, CBD offers its numerous medical benefits without any serious side effects, in contrast to pharmaceutical medication. As a result, CBD has changed how people view alternative health choices, and more people are trying it, especially women, as you can see from this report. 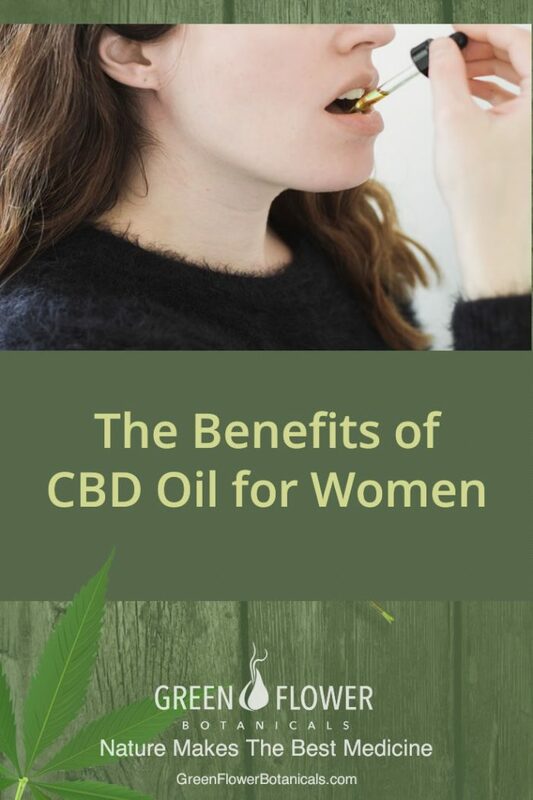 In this article, we will take a look at how CBD oil can benefit women in particular. You can put a few drops under your tongue, sprinkle it in your juice or even smoke it using a vape. You guessed it, we are talking about CBD oil. CBD is a compound found in the Cannabis plant, I know what you must be thinking after seeing the word cannabis, but do not worry. Unlike the famous (or infamous) delta-9 tetrahydrocannabinol (THC), this compound does not get you high. Besides, it is safe for both humans and animals such as dogs, cats and horses, even at extremely high doses. Many people are unaware that there are two types of the cannabis plant, that is hemp and marijuana. The cannabis plant contains over 100 other cannabinoids besides THC and CBD. Depending on the type of cannabis plant you are talking about, the amount and ratio of each cannabinoid will vary accordingly. For instance, hemp normally contains only trace amounts of THC, (normally less than 0.3%) while some marijuana strains can contain up to 25% THC. Currently, CBD is legal sell in all 50 states as long as it is derived from the hemp plant. CBD, which is is extracted from the seeds, stalks and flowers of hemp, has been shown to have antioxidant and neuroprotective properties according to this patent by the U.S. National Institutes of Health. That’s right, the U.S. govt has a patent on CBD. As mentioned earlier, more women than men are trying CBD oil, and it’s easy to see why. CBD oil can lead to an improvement in the general health and quality of life by alleviating some biological issues that are unique to a woman’s body. These include issues such as hormonal imbalance, premenstrual syndrome, digestive issues and cramps. CBD interacts with the body through a signaling network called the endocannabinoid system (ECS). The endocannabinoid system is a network of naturally produced cannabinoids, receptors and cells in the brain, organs and other body tissues that are responsible for maintaining homeostatic balance. This recently discovered system has been touted as the most crucial physiological system for maintaining and establishing human health. The ECS is made up of receptors (CB1 and CB2 receptors) and the subsequent molecules that activate them (2-AG and anandamide). These molecules have the same molecular structure as the cannabinoids produced by the cannabis plant, which explains how CBD is able to interact with this system naturally. Interestingly, women produce natural endocannabinoids in breast milk and also have much more endocannabinoid receptors in the body compared to men. This alludes that women have a more active endocannabinoid system. Therefore, a deficiency in these crucial balancing molecules may result to all sorts of symptoms in a woman’s body. You are having a rather normal day, as you are half-way done with your errands, you hear the knock that you always expect but almost never ready for…it is Aunt Flo, and she has arrived with all her usual buddies – mood swings, cramps, and bloating. Every now and then, she even decides to tag along her distant cousins – anxiety and constipation. The severity of these symptoms may vary from one woman to another, but I think all women can agree that PMS is not a lot of fun. Though the research on how CBD affects the premenstrual cycle are scanty, there is evidence showing that CBD oil can help with many of the symptoms listed above through its interaction with the endocannabinoid system. First of all, CBD has been shown to help stimulate a balanced mood and promote general mental health. CBD oil interacts with receptors in the limbic system, the part of the brain responsible for moods and emotions, bringing much-needed balance. In the same breath, CBD is able to interact with neurotransmitters responsible for regulating hormones and help with endocrine disorders. Hormone imbalance is common during PMS and can lead to sudden changes in mood. CBD may help alleviate bloating and cramps during menstruation in multiple ways. Foremost, CBD is known to be a great anti-inflammatory and antiemetic (nausea reducing) agent. Lastly, CBD has been shown to regulate the body’s perception of pain and discomfort, hence easing your cramps. During menstruation, women undergo sudden changes in hormone levels which in turn causes the muscle tissue in the uterus to contract. These contractions are the reason why most women have to put up with the dreaded period cramps, making the inflammation and pain may be already there even worse. There is not much research with regards to CBD’s oil effect on PMS. Nonetheless, there are several studies showing that CBD is a potent pain reliever which acts by blocking compounds responsible for sensing pain. This could explain why many women have been turning to CBD to try and ease the cramping and lower back pain often associated with menstruation. However, there is need for more research to prove the efficacy of CBD for this purpose. Anxiety is not an issue unique only to women, however, it affects 24% more women than men . Anxiety is also a symptom of many conditions that affect women only, for example, PMS, menopause, postpartum depression and other issues pertaining to endocrine disorders. Not to worry though, recent studies show that CBD can help reduce anxiety. According to a growing body of research, CBD is able to boost serotonin levels and elicit an anti-depressant effect in mammals, faster than common prescription drugs. The only issue is that most of the research to evaluate CBD’s anti-anxiety effects has been done on animal models and hence cannot be conclusive for humans. That being said, there are a few human trials showing that CBD can ease symptoms of anxiety and depression in people suffering from refractory schizophrenia. Digestive issues are some of the most distracting and frustrating health conditions one can suffer from. While it is an issue that can easily affect both men and women, research shows that women tend to suffer more from digestive problems. For instance, this survey carried out in 2016 shows that almost 72% of women have suffered from digestive issues such as irritable bowel syndrome in the past year . IBS is a serious condition that affects 20% of women in the U.S. It is characterized by severe symptoms such as abdominal pain, chronic bloating and constipation. So, how can CBD oil help with digestive issues including IBS? According to numerous studies, CBD may help regulate digestion and bowel movements, hence improving the whole gastrointestinal tract. It does not end here, there are other studies (link) showing that CBD can help get rid of symptoms normally associated with digestive issues, including cramping, inflammation, bloating and nausea. Largely due to its effective anti-inflammatory, antioxidant and anti-aging properties, CBD has been found to help with those suffering from various skin conditions such as dry skin and acne. Applied topically, CBD can be highly effective in treating even difficult skin conditions, including psoriasis and eczema. CBD achieves these effects by encouraging the death of abnormal cells and even helping regulate the growth of bacteria and fungi. Although there is no research showing how CBD can benefit hair, many salons are now including it in their shampoos and oils as a scalp treatment. The hemp plant is rich in oils such as Omega-3 fatty acids and vitamins A, C, and E which are great for healthy hair growth. Menopause is yet another reason why a lot of women are now turning to CBD oil. Menopause manifests in typical symptoms such as mood disorders, reduced libido, irregular sleeping patterns and night sweats. Symptoms of menopause can last for a long time with medical options such as hormone replacement therapy and other pharmaceuticals often falling short at relieving them. CBD is different. By interacting with the endocannabinoid system directly, it may be able to relieve some of the symptoms that appear during menopause. Whenever a biological system is disrupted in the body by conditions such as hormonal imbalance, menopause, and other chemical problems, the ECS springs to action to bring back the much-needed balance. However, sometimes the natural cannabinoids synthesized by the body are not enough, and that is where CBD comes in to act as a supplement. More research will be necessary to fully establish how CBD may help menopause. Nonetheless, there is a lot of anecdotal evidence showing that women may find relief from osteoporosis, mood disorders, migraines, irregular sleeping patterns and hot flashes. Women experiencing menopause tend to lose their bone density, a condition in which CBD has been shown to be able to help with . Interestingly, according to this research, CBD is also able to increase sexual arousal in women . Endometriosis refers to a painful issue that develops when abnormal tissue grows in a woman’s uterus. It can cause heavy bleeding and pain throughout the menstrual cycle, not to mention reproductive issues. CBD has been reported to help women suffering from endometriosis, thanks to its potent pain reduction and anti-inflammatory properties. More research is still needed, however, to establish the exact mechanism of action of CBD in treating this condition which has is believed to be caused by inflammation and autoimmunity. While studies are still ongoing with regards to the effects of CBD oil on cancer, the information that is already available looks promising. For instance, it has been conveyed from various animal studies that CBD has the ability to slow down the growth and spreading of cancer cells. This is heavily be attributed to CBD’s antioxidative and anti-inflammation properties. More importantly, however, CBD is able to help with other symptoms caused by cancer and cancer treatments such as chronic pain as well as nausea and vomiting induced by chemotherapy. It is difficult to describe the effect unless you have tried it. But CBD, for many, can slowly but consistently increase your energy and sense of well-being until one day you realize, “Recently, I’ve been feeling quite good.” Even if you are of generally good health, CBD can still make it a bit better by helping your endocannabinoid system work more efficiently. When should women avoid taking CBD oil? Before using any kind of medication or supplement, it is always a good idea to first get the opinion of your doctor. I mean, who understands your body better? This rule applies to CBD oil too, which although shown to be safe, can still interact with other medication, supplements or health conditions in unpredictable ways. For instance, when it comes to pregnant or breastfeeding women, most supplements in the market are considered unsafe simply because they have not been put under clinical scrutiny via studies. This situation is so because doing medical research on pregnant women is considered unethical in case some negative effects arise and affect the woman, the child or both. Women who are breastfeeding should also consult widely with their doctors first. As outlined in this article, CBD oil holds a lot of potential in treating many issues that affect women’s health. However, there is dire need for more research to establish the exact mechanism of action as well as scope and efficacy of CBD oil in regards to these conditions. Until then, we recommend that you work closely with your physician when taking CBD oil, especially if you are on other medication. “National Institute of Mental Health,” 2019. [Online]. Available: https://www.nimh.nih.gov/health/statistics/any-anxiety-disorder.shtml. [Accessed 18 March 2019]. “New Study Reveals Women May Suffer From Digestive Health Issues In Silence,” [Online]. Available: https://www.prnewswire.com/news-releases/new-study-reveals-women-may-suffer-from-digestive-health-issues-in-silence-300373970.html. [Accessed 17 March 2019]. A. I. Idris, “Cannabinoid Receptors as Target for Treatment of Osteoporosis: A Tale of Two Therapies,” PMC, vol. 8, no. 3, pp. 243-253. C. Klein., M. N. Hill, S. C. Chang, C. J. Hillard and B. B. Gorzalka, “Circulating Endocannabinoid Concentrations and Sexual Arousal in Women,” PMC, vol. 9, no. 6, 2013. J. C. Oncol, “Delayed nausea and vomiting continue to reduce patients’ quality of life after highly and moderately emetogenic chemotherapy despite antiemetic treatment.,” PubMed, vol. 24, no. 27, pp. 4472-4478, 2006. S. J. Amanda, F. Manoela, S. Ariandra, P. Vitor, W. Gregers, G. Francisco and S. Joca, “Cannabidiol Induces Rapid and Sustained Antidepressant-Like Effects Through Increased BDNF Signaling and Synaptogenesis in the Prefrontal Cortex,” SpringerLink, vol. 56, no. 2, pp. 1070-1081, January 2019. BrightfieldGroup, “Understanding Cannabidiol | CBD,” 2017.